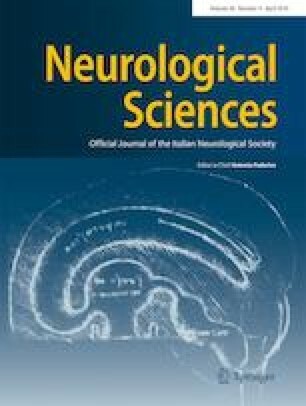 Recent evidences have implicated neuroprotective effects of CX3CR1 in multiple sclerosis (MS). But whether CX3CR1 is involved in modulation of antigen-presenting cell (APC)–related molecular MHC-II and what the possible mechanism is remain unidentified. In this study, we intended to investigate the effects of CX3CR1 on MHC-II expressions on brain myeloid cells in experimental autoimmune encephalomyelitis (EAE) mice and explore the possible regulators for it. CX3CR1-deficient EAE mice were created. Disease severity, pathological damage, and the expressions of MHC-II and its mediators on myeloid cells were detected. We found that compare with wile-typed EAE mice, CX3CR1-deficient EAE mice exhibited more severe disease severity. An accumulation of CD45+CD115+Ly6C−CD11c+ cells was reserved in the affected EAE brain of CX3CR1-deficient mice, consistent with disease severity and pathological damage in the brain. The expressions of MHC-II on the brain CD45+CD115+Ly6C−CD11c+ cells of CX3CR1-deficient EAE mice were elevated, in accord with the increased protein and mRNA expressions of class II transactivator (CIITA) and interferon regulatory factor-1 (IRF-1). The findings indicated that CX3CR1 might be an important regulator for MHC-II expressions on APCs, playing a beneficial role in EAE. The mechanism was probably through regulation on the MHC-II regulators CIITA and IRF-1. This work was supported by the Natural Science Foundation of Guangdong Province, China (Grant No: 2014A030313028), and Science and Technology Planning Project of Zhuhai city, China (Grant No: 2015A1011).